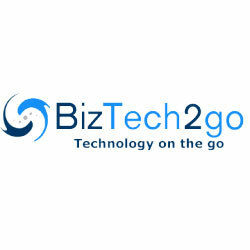 BizTech2go Inc is an Information Technology, Consulting and Outsourcing Corporation, which helps the companies to operate their businesses more efficiently and effectively by technology transformation, IT Strategy’s implementation, Re-engineering the existing Business Processes and Change Management. Choosing us as SAP Training Partner provides you the best Return of Investment in terms of employee productivity. Every hour and dollar investment in SAP Training pays you four times increase in productivity of your business. SAP ERP knowledge is power and SAP professionals are required by the software industry as well as by the various businesses to augment their profits and output. BizTech2go is a school of emerging technologies and leader in providing the SAP Training services to corporate, individual and organizations. Our training instructors always use innovative ways to deliver SAP training specific to your business needs and individual. We have large pool of certified instructors in our team which are consistently rated above the industry standard. We have more than 10 yrs of experience in successful delivering the IT training to end users, power users, Business Analyst and IT analyst to our global clients. Our world class IT training material/Courses helps you learn the subject effectively and quickly. We tailor and customize our IT training topics/courses based on skill gap matrix assessment. BizTech2go keeps you ahead from your competitors by train your employees in latest SAP modules, tools and technologies. Our team collaborate with your IT and business analyst and develop best Training material/manuals and procedures for your business IT needs. Our integrity, work ethic and a sincere interest in building strong relationships as long term training partner differentiate us from the others. Our instructors engage the audience by providing real time concepts/examples/projects and share the industrial experiences. Biztech2go IT Training Portfolio includes training in many modules of SAP.